Reader's who enjoy historical fiction and cute love stories will eat The Shoemaker's Wife right up. Trigiani is an extremely skilled writer who did an absolutely fantastic job at writing the descriptions of her settings. Every small detail is included whether it be in Italy, New York City, or Minnesota. The reader has no problem feeling like they are right there with Enza and Ciro. Learning so many small historical details was very enjoyable. I was fascinated by this book.The romance portion wasn't quite as perfect. 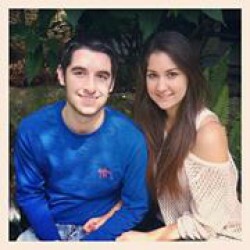 In fact, there was actually a point where I wasn't rooting for Ciro and Enza to be together. There were moments when it just didn't seem like Ciro was good enough for Enza and I didn't feel like he truly loved her. All in all, the romance wasn't as breathtaking and sweeping as I was hoping for, but satisfying enough. 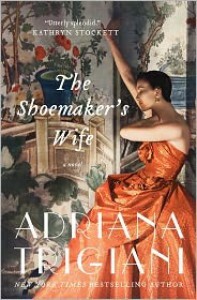 The Shoemaker's Wife does a much better job at being a grand historical novel then a epic love story.This was my first novel by Adriana Trigiani and I will be looking into her other works very soon. This was a very special book that deserves to be read with an open mind so I'm keeping this review short so other reader's can experience this beautiful storytelling on their own. Oh, and as far as language and content go: this is a very clean romance. There may be a few stronger words thrown in here and there but it was rare. So that being said, I'd recommend The Shoemaker's Wife to any who enjoys historical fiction, Italian settings, learning about New York life in the 20's and 30's, and immigrant life.